Furukawa Garden (旧古河庭園) is a combination garden of Western style and Japanese style. Japanese garden was designed by Ogawa Harube. British House and garden was designed by Josiah Conder. This garden has a great harmony of Western art and Japanese art. It is also very famous for its rose garden. In the middle of May, it bloom beautiful flowers. Sakura and Koyo are also very beautiful. Admission: 150 yen, kids free, 70 yen for seniors. There is a group discount. It open for free in May 4 and October 1. There are 2,400 trees and 2,400 flowers in this garden. Furukawa Garden is designated as the national landscape. It was originally a house of Mutsu Munemitsu, the one of hero of Meiji Restoration. His son was adapted to Furukawa family, and this house and garden became the property of Furukawa. The British House was designed by Dr. Josiah Conder who designed many western buildings in Tokyo. The Japanese garden was designed by Ogawa Harube. 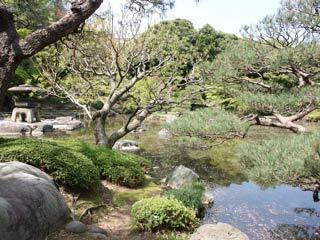 It is one of few remaining Japanese garden which built in early Taisho era.